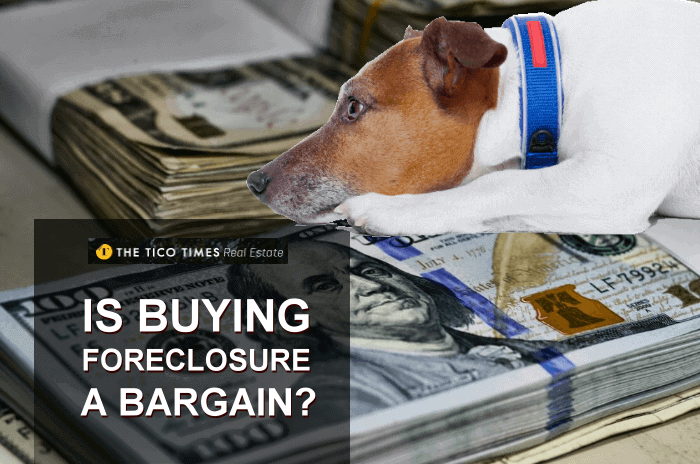 Is buying a bank-owned home in Costa Rica a good way to find a bargain? Sure, it can be, but it’s hard work. Often, you will see a TV ad with a famous soccer player asking you to purchase a bank-owned home with incredible financing options. It’s just like any other advertising: check before you buy. Why does a bank own homes? That is because the bank foreclosed on someone who didn’t make the monthly mortgage payments on time. 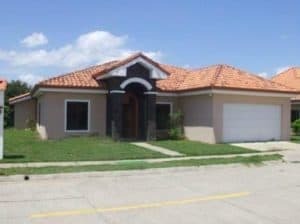 Is it worth looking into investing in a bank-owned home in Costa Rica? There are several considerations to take into account. Where to find bank-owned homes? You can find bank-owned homes by searching “Costa Rica venta de bienes banco” on Google. Most properties advertised are in undesirable locations, so you will need to bring some geographical knowledge of the country to find the good deals. I always have the feeling that banks have much more inventory than what they show on their website. Contact them and see if they have some really good deals they’re not offering online. Before you decide whether you are getting a great deal, try to find out what the former appraisal was. This will give you a lot of information if you know how to interpret this information. When was that appraisal done? Maybe when real estate in Costa Rica was booming? 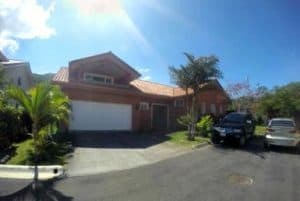 It is very difficult to find comparable property in Costa Rica because the National Registry doesn’t show you what properties have sold for. However, you can do an online search for comparable property and see what sellers of other properties are asking. In addition, the land value maps by the Finance Ministry are a great tool to give you an idea of what the land value is in each area. Banks will try to sell the property at the appraised value, or close to it. The property might have been appraised 10 or 15 years ago. There is a very good chance that market conditions have changed tremendously since the appraisal was done. This should affect the purchase price in your favor. Keep in mind that the mortgage the former owner had was no more than 80 percent LTV (Loan to Value). It is also important to know that appraisals usually have 2 percent depreciation for each year of construction. Most home owners, before getting foreclosed, probably had the property for sale and were not able to sell. Now the bank will be trying to sell at a similar price. For that reason, the asking price of the bank-owned home is probably way too high. 2 lobbies, 1 baño parcial, 1 lavandería, 3 Oficinas, 1 Bodega, 5 estacionamientos. Banks do not like to have a high inventory of bank-owned homes as they have a high cost. There are certain costs involved in keeping them, such as property taxes, condo fees, and general maintenance costs. Also, they had to pay foreclosing costs and lawyer’s fees. That gives you the opportunity to negotiate the sales price as much as you can. Keep in mind that banks are not into the business of owning property; they are in the lending business. Most bank-owned homes are abandoned by their owner after foreclosure. For that reason, those homes are usually very much deteriorated. I have seen homes that were totally wrecked by their owners. They either tried to salvage what they could, or they wrecked them out of anger. In some cases, the house was abandoned by the former owners and the bank didn’t hire a guard. Neighbors and others might have taken advantage of the situation and taken everything they could. Many foreclosed homes need a lot of work to restore them to decent living conditions. That’s why it is important to know that a bank-owned home in Costa Rica is sold “as is”. The former owner was probably selling the home before the bank foreclosed on it. Therefore, you might be able to find out what the house was offered at by the owner. Go online and do a thorough search of FSBO websites and real estate company websites for the same area. If you can find the property online, you will be able to compare it to the bank’s asking price. Can you hire a realtor? Some banks are now starting to work with real estate agents who can represent you as a buyer. Buyer’s agents need to be qualified by the bank. The process is a lot of red tape and few agents are willing to put up with it. Buyers looking for assistance can hire their own trusted real estate agent as a buyer’s agent, but will have to pay the real estate commission. Most banks will offer you a mortgage with 0 percent formalization cost (which is usually around 1.5 percent) and no closing cost. Ask if you will receive a registered mortgage, or whether the property goes into a trust or fideicomiso. Inform yourself well about the differences. Is buying a bank home at a great price as attractive as it sounds? Do your homework and you might be able to get that great deal you’re looking for.